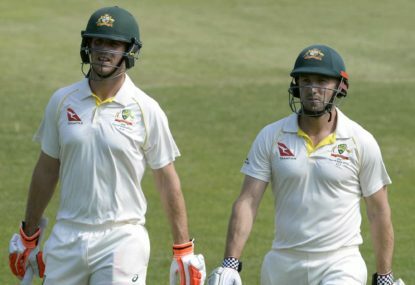 Dropping Mitch Marsh for Peter Handscomb in today’s first Test against India was the correct call for an Australia team that needs batting reinforcement far more than it requires an extra bowling option. Marsh has been in dire Test form since his crucial 96 in the first Test in South Africa, averaging just ten from his 11 innings. His regular inclusion in the Test team over the past four years has been justified on the grounds Australia needed him as a fifth bowling option. But that argument is far less persuasive than it once was. Firstly, Marsh has lost his edge with the ball, having taken 11 wickets at 67 in his past 16 Tests stretching back to February 2016. Secondly, the Adelaide pitch for the first Test looks set to be the most bowler-friendly of the series, which means picking an extra specialist batsman makes more sense than including an all-rounder. The question now is whether Handscomb can step up to this challenge. 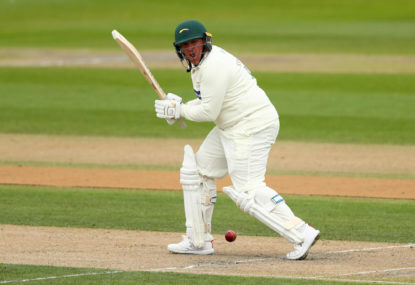 He has not exactly set first-class cricket ablaze since being dropped from the Test team during the Ashes last summer. Since then Handscomb has made 576 runs at an average of 32 in first-class cricket. 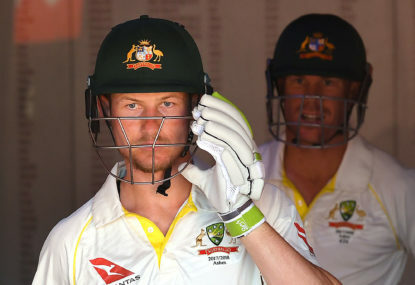 Handscomb had a poor second half of the last Sheffield Shield season and then made 29 runs from four first-class innings in South Africa before having a sub-par tour of India with Australia A, averaging 18 from four knocks. The 27-year-old has been selected, I sense, partly on past impressive deeds in the Test team and partly on his solid but unspectacular Shield form. 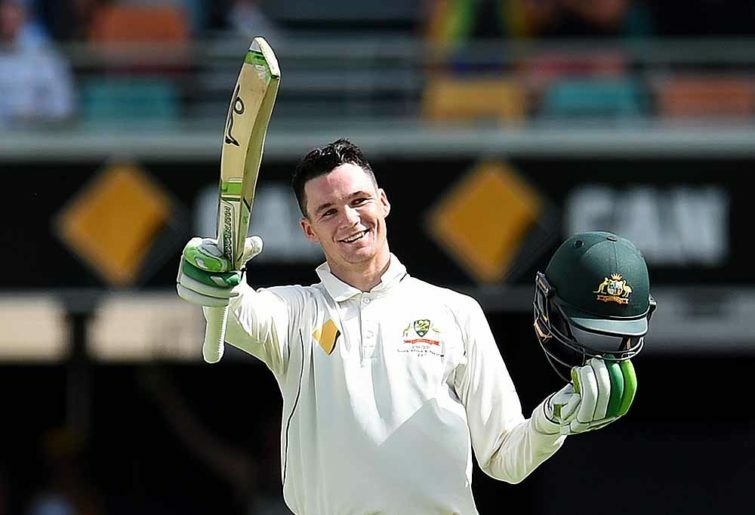 From six home Tests Handscomb has piled up 461 runs at 66, including two centuries, both of which were scored against Pakistan two summers ago. With an overall Test record of 829 runs at 44 he could have justifiably felt unlucky not to have been picked for Australia’s recent two-Test tour of the UAE. Instead the selectors went with youngsters Marnus Labuschagne and Travis Head, neither of whom had particularly good series with the bat. Handscomb then won back his Test place for today’s series opener on the back of making 361 runs at 45 over the opening five rounds of this current Shield season. Anyone who watched Handscomb in those recent matches for Victoria would have noticed his technique remains largely unchanged. It was his curious batting style, with which he bats from extremely deep in the crease and which was unpicked by England last summer, that prompted his axing. The English quicks maintained a very full length to Handscomb, looking to bring the ball back in at him and target bowled and LBW dismissals. 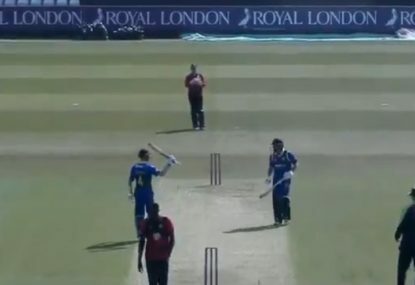 This resulted in the Victorian playing one of the oddest knocks by an Australian batsman in recent memory as he wandered all over his crease in the second Test. He started by playing even deeper in his crease than usual, almost standing on his stumps in his stance, and then seeking to push forward aggressively at anything full. When he was beaten several times on the outside edge, Handscomb began shuffling way across his stumps, at times ending up with both feet as much as 15 centimetres outside the off stump. It was the skittishness of this innings, as much as his lack of runs in the first two Ashes Tests, that I think caused the selectors to lose confidence in him. 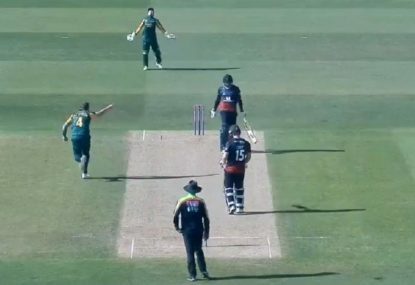 Handscomb also seemed to have lost faith in his own technique. That faith will be tested once more over the coming weeks as the skilful Indian quicks attempt to exploit his batting idiosyncrasies. Handscomb’s reliance on playing off the back foot will be challenged, particularly by Jasprit Bumrah and Mohammed Shami. Shami tends to maintain the fullest length of the Indian pacemen, while Bumrah’s extreme angle back into right-handers will be of particular threat to Handscomb. The Australian has shown more of a willingness to push forward to drive full deliveries since last summer, but he still allows pace bowlers to adopt a fuller length than most other batsmen in world cricket. If Handscomb cannot punish India when they overpitch, it will greatly reduce the pressure on the visiting pacemen and limit his chances of getting the shorter-pitched balls he craves. Can Handscomb’s unusual technique withstand Test cricket? We’re about to find out.